Boy do those words sound like music to my ears. Unfortunately, however, I won’t be one of the 200 people who get to hear Alex Dreyfus say them in person. 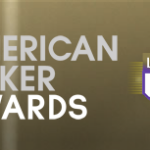 Ever since the announcement that the conference would accompany and lead up to the first ever American Poker Awards, I’ve been yearning to take part. While conferences aren’t new to the gaming industry, the Global Poker Conference represents the first such event dedicated exclusively to poker. I’ve waxed poetic about what the Global Poker Network has already accomplished by organizing such an event in the first place and have been incessantly championing Dreyfus’ vision on social media, yet I’m not going to be there. Panels, sessions, and networking with 200 of the most important and active people in the North American poker scene – what a feat! The lion’s share of publicity, glitz, and glamour is being showered on the evening’s award ceremony, but to me the opportunity to meet and learn from the conference attendees is just as much of an attraction. Over the past few weeks, more and more names were announced to the public: Bernard Lee, Nolan Dalla, Eric Hollreiser, and on and on. 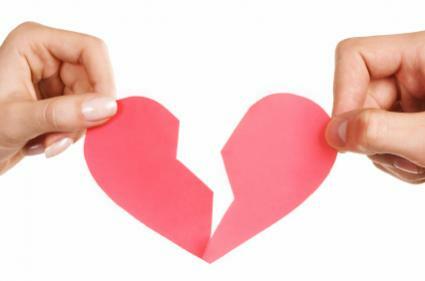 There are so many industry elites with whom I’ve been fortunate enough to develop good relationships over my 5+ years of poker blogging, yet I haven’t even met a handful of them in person. 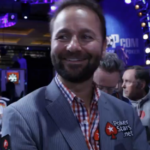 And then I discovered that Daniel Negreanu – one of my life role models and inspirations – will be there, too. I absolutely marked out. It’s a diehard poker fan’s ultimate dream come true. The Global Poker Conference represents a situation that’s even more unique than the World Series of Poker (which I’ve also never had the good fortune of attending, by the way). At the WSOP everyone is spread out and busy either working or playing. At the conference, everyone will be gathered together in a much more intimate setting to mingle and celebrate the game of poker. So, why won’t I be in attendance? When I first learned that there was going to be a conference element to the proceedings, I immediately checked ticket prices. In over 16 years of living here in Israel, I’ve never seen a fare that low for a flight to Los Angeles. Not even close. I was born and raised in Los Angeles. I haven’t been back to visit in three years. My entire extended family on my mother’s side still lives there. I’d barely have any additional cost beyond the plane ticket. As a matter of fact, the SLS Hotel, where the festivities will be taking place, is just a 15-minute drive from where I used to live. Oh, the cruel irony of it all. It’s still halfway around the world. 7,541 miles to be exact. Almost a full day’s worth of travel time in each direction. Plus, it’s still $692 out of pocket. To attend a 1-day conference. Also coming into play is the fact that I started a new job six weeks ago. Unfortunately, the timing just isn’t right to fly abroad now. And if I were to have said “screw it, I’ll go anyway just for the weekend”? Quite frankly, I simply couldn’t justify spending all that money and enduring 40 hours of travel time for what would amount to a two-day trip during which I’d barely see my relatives. 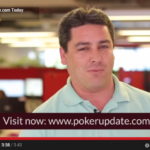 I feel like I’ve worked so hard to try and carve out a niche for myself in the poker industry. Beyond maintaining this independent poker blog for over half a decade, I’ve also branched out to writing occasionally for “the big guys” like PokerStrategy.com and All In Magazine. I’ve also co-developed the Poker Notes Live app and co-host the well-regarded Top Pair Home Game Poker Podcast. I engage in all of these activities exclusively in my spare time, on nights and weekends, simply because I love poker and wish to contribute in a small way to its betterment. Looking back at my trajectory and with an eye to the future, I’ve come to realize that there’s only so far I can hope to climb when my presence in poker is limited to being virtual. So, as far as golden opportunities go, participating in the Global Poker Conference would pretty much have been the nuts. 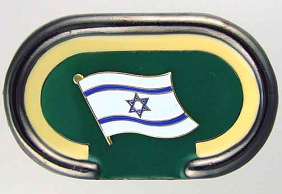 Moving to Israel and starting a family were undoubtedly two of the best decisions I’ve ever made and I don’t regret either of them for a split second. Nonetheless, every decision carries consequences. The responsibilities of being a family man necessarily place restrictions on my time and financial resources. So, too, living in Israel by definition restricts my ability to partake in poker events. Luckily for me, modern technology has made it possible for me to pursue my passion for poker “despite” my location. Many poker pros have spoken out publicly about the importance of creating a good sense of balance in life. I subscribe to this maxim, of course, and I see it as my continuing challenge to try and balance between my two loves to the best of my ability. As Alex Dreyfus welcomes everyone to the inaugural Global Poker Conference in Beverly Hills, I will be sitting with my family around the Shabbat table in Karnei Shomron eating dinner. I will be happy, especially with the knowledge that I’ve published this letter for the poker world to see. These 950 words represent “the best I could do” under the circumstances. But that doesn’t make my Global Poker FOMO any less painful. Always wanted to go to 90210. See you there next year Robbie. Hope both of us can make it. PS Enjoy the weekend. All in good time. You’ll get there. Keep on keeping on.